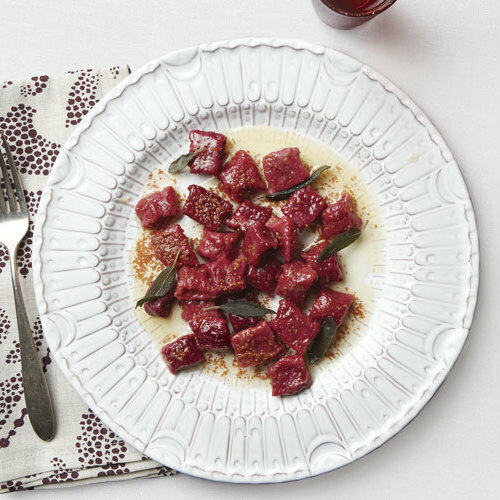 Adding beets, spinach, cheese, and even chestnut flour to potato gnocchi results in fabulous flavors and some eye-catching hues. 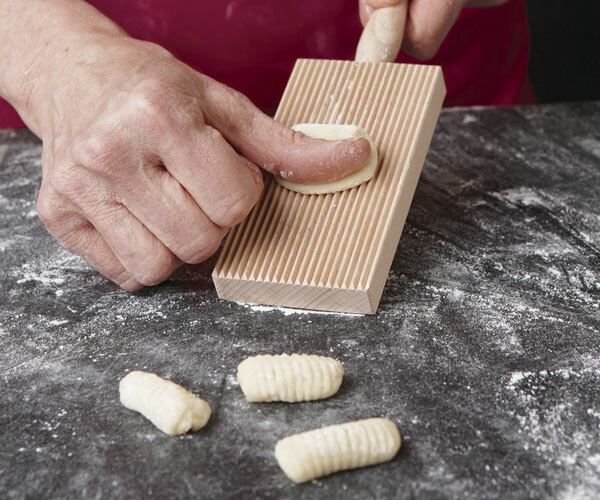 While traveling through Italy and researching handmade dumpling-style pasta for my book Pasta By Hand, I came to understand that the world of gnocchi (NYOH-kee) is much larger than I’d previously thought. 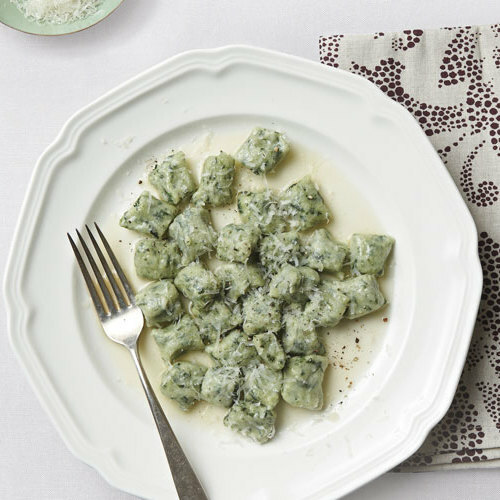 I was familiar with potato gnocchi, the kind often described as “light as air,” but soon came to learn that gnocchi are also made from ricotta (sometimes known as gnudi) and with semolina in a manner similar to polenta (gnocchi alla Romana). 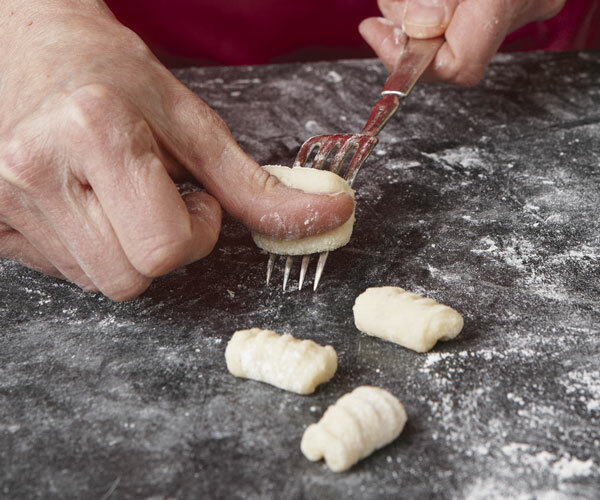 They can be fashioned from stale bread or even pâte à choux, which is how the French make their gnocchi Parisienne. What really surprised (and delighted) me was how much the flavors—and even the colors—can vary. 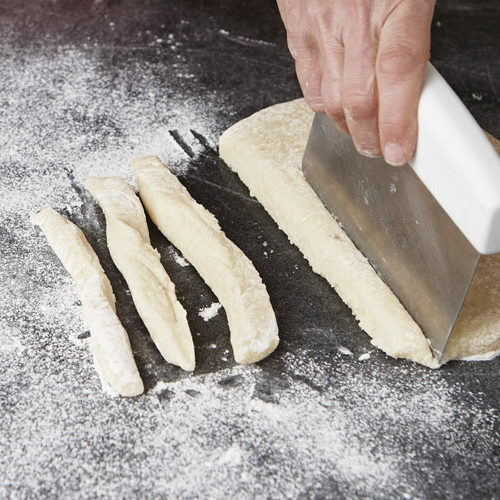 To demonstrate some of the myriad ways to flavor gnocchi, I’m focusing here on potato-based gnocchi to keep the basic process more or less the same. Hailing from northern Italy, potato gnocchi are made by mixing cooked potatoes with flour and sometimes egg to form a thick dough. 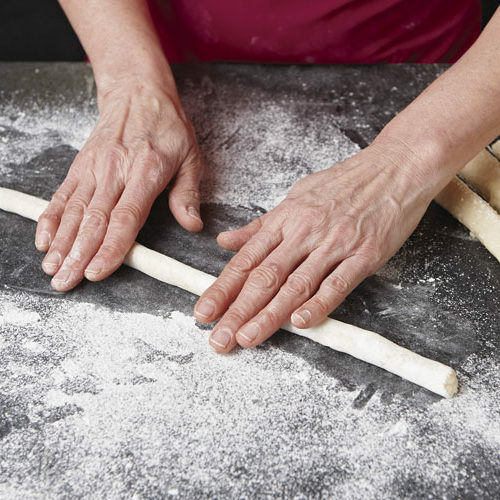 The dough gets rolled into ropes, then cut into individual pieces. To serve, it’s boiled like pasta. 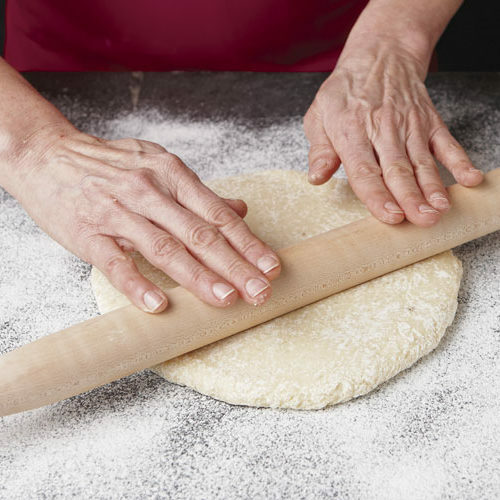 The variations come from what I add to the dough, whether a different kind of flour that changes the look and texture of the gnocchi, a vegetable purée that adds deep color and earthy flavor, or a soft cheese that makes it feel light. 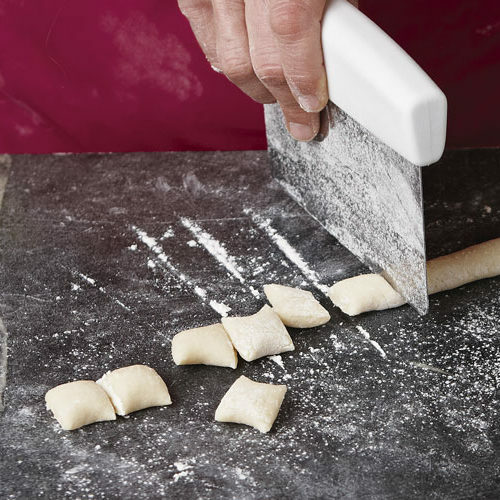 For plain potato gnocchi, a super-light consistency is the biggest selling point, and when well made, each bite feels ethereal. My Potato and Ricotta Gnocchi are that airy and supple, but one thing I also learned while sampling various gnocchi in Italy is that some, such as Chestnut Gnocchi, are actually supposed to be a bit more dense. Though the process can look intimidating, these little dumplings are fun to make, once you get the hang of it. 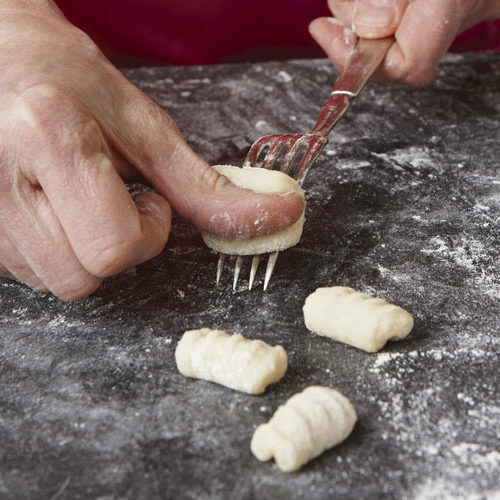 If you’ve ever enjoyed shaping Play-Doh, making gnocchi is right up your alley. And the payoff for making your own—that lovely mouth-feel and the ability to tailor the flavor and color as done here—is huge. 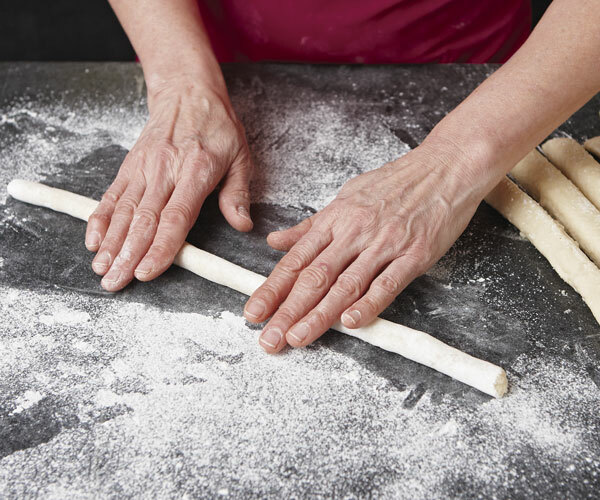 If the idea of giving each dumpling ridges gives you pause, know it gets easier with practice. 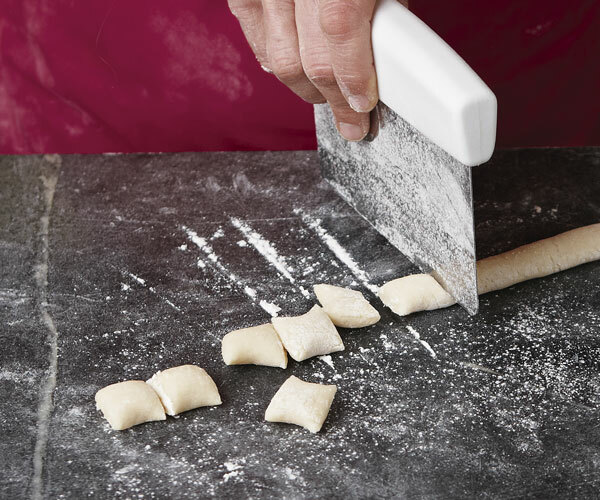 Besides, it’s perfectly fine to leave your gnocchi ridge-free. 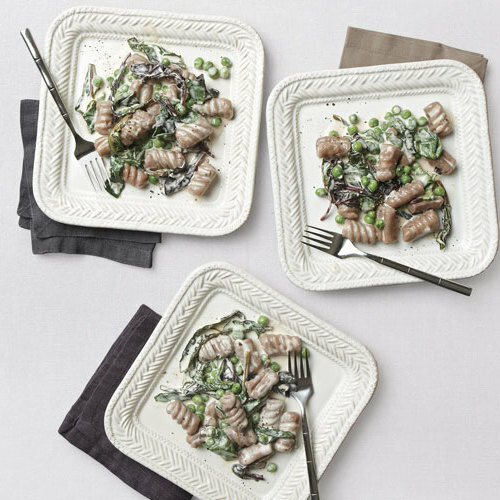 Served with a chunkier sauce, the ridges can help catch flavorful bits, but they’re not as necessary when served with a butter or cream sauce. 1. 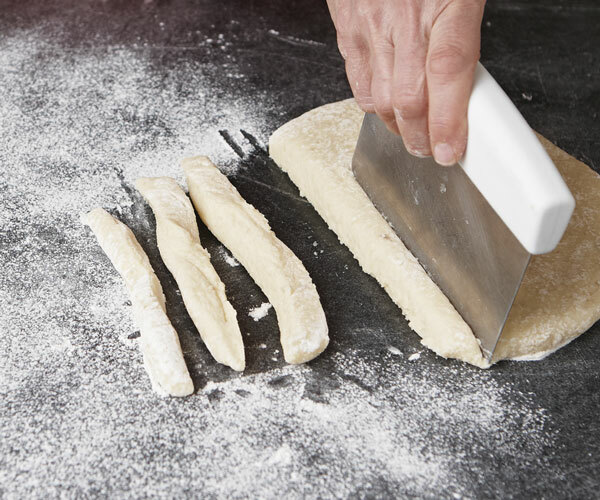 Use your hands or a rolling pin to gently flatten the dough on a floured work surface. 5. 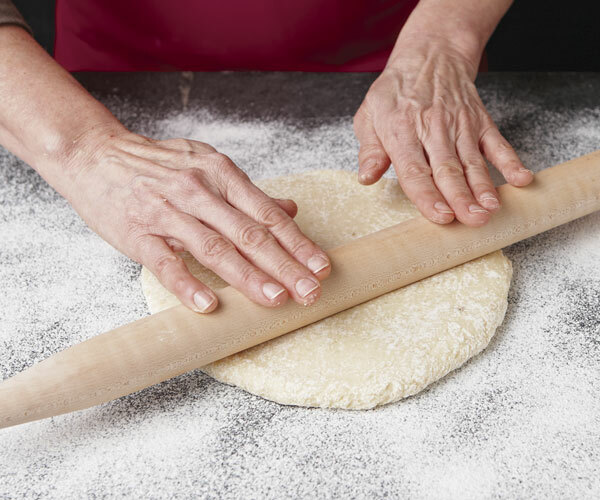 If you want to make ridges (optional), use the side of your thumb to roll each piece down the back of the tines of a dinner fork, while simultaneously pressing on the dough to form indentations. 6. 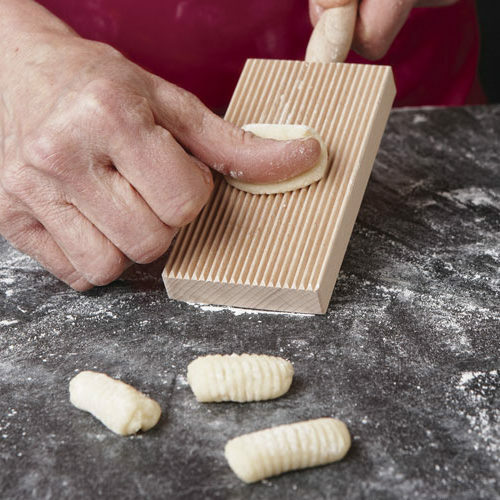 You can also buy a specialized gnocchi board for making the ridges; these grooves will be less pronounced than those from a fork. Speaking of sauce, don’t simply top the gnocchi with it. Instead, toss gently with the warm sauce. That way, each dumpling gets a chance to absorb some of the sauce’s flavor, and each gets well coated. 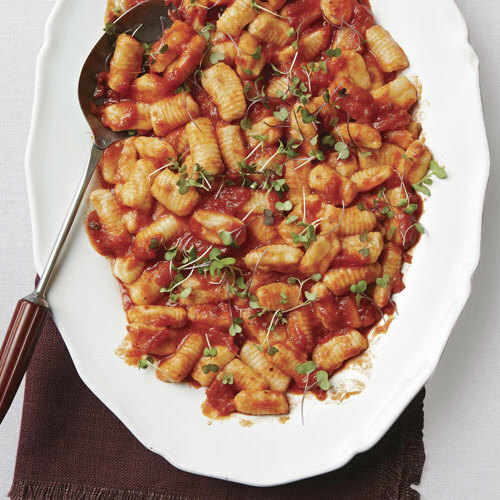 Like pasta, gnocchi may be served with a wide variety of sauce styles, from a meat ragù to marinara to simple melted butter. 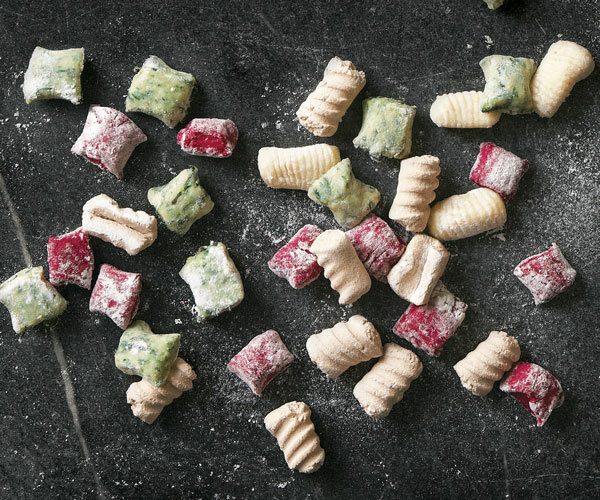 The only trouble you’ll have is deciding which flavor of gnocchi to make.